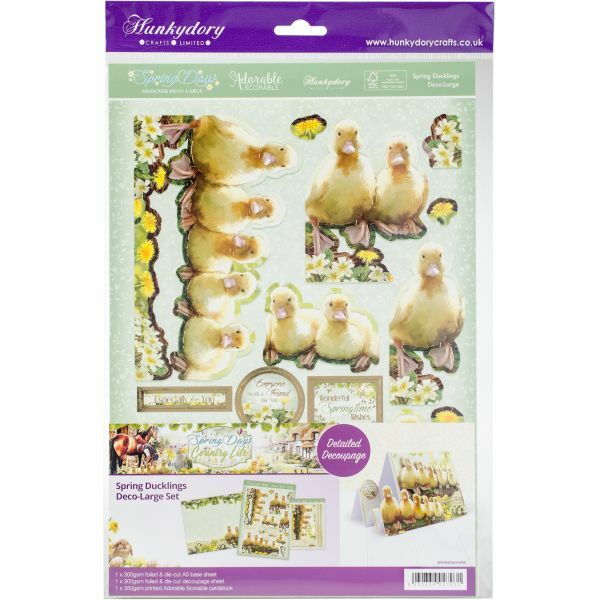 Hunkydory Spring Days A4 Decoupage Set - The perfect kit for crafting your own cards with ease! This package contains one 300gsm foiled and die-cut topper sheet, one 300gsm foiled and die-cut decoupage sheet and one 350gsm printed Adorable Scorable cardstock. Design: Spring Ducklings. Imported.